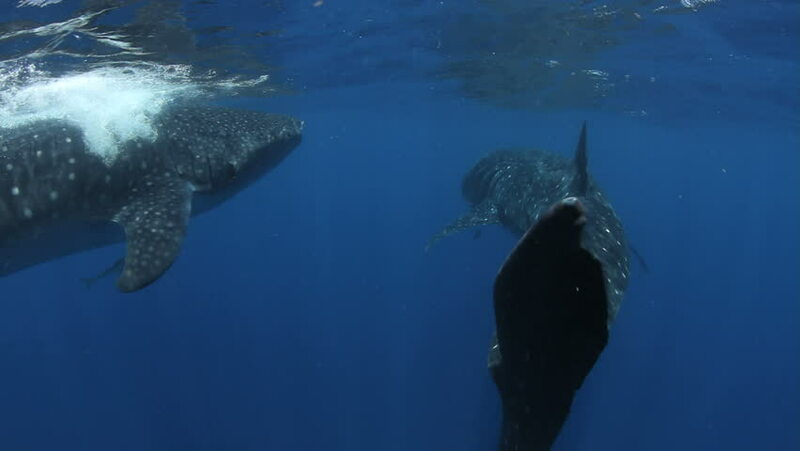 Two Whale Sharks (Rhincodon typus) swim side by side off the coast of Mexico. hd00:13Californian sea lion (Zalophus californianus) swimming and playing in the reefs of los islotes in Espiritu Santo island at La paz,The world's aquarium. Baja California Sur,Mexico.